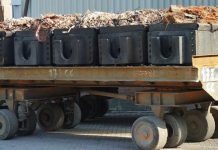 Lisbon, Portugal — According to preliminary data by the International Copper Study Group (ICSG) and making seasonal adjustments for world refined production and usage, October showed a production deficit of around 60,000 t. The refined copper balance for the first ten months of 2014, including revisions to data previously presented, indicates a production deficit of 616,000 t (a seasonally adjusted deficit of 532,000 t). This compares with a production deficit of 159,000 t (a seasonally adjusted deficit of 56,000 t) for the same period of 2013. In the first ten months of 2014, world usage is estimated to have increased by around 11 percent ([1.9 Million tons (Mt)] compared with that in the same period of 2013, supported by strong demand in China and a shortage of high-grade scrap that led to the use of more cathode by semi-manufacturers. 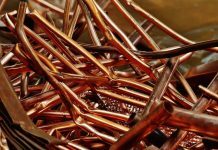 Chinese apparent demand increased by 18 percent (+1.4 Mt) based on an 18 percent increase in net imports of refined copper. Excluding China, world usage increased by 5 percent, supported mainly by apparent usage growth of 11 percent in the European Union and 10 percent in Japan, as well as by growth of 6.5 percent in other Asian countries (excluding China and Japan) and 10 percent in the Middle East/North Africa region. Usage in the United States remained flat. World mine production is estimated to have increased by around 2 percent (295 Mt) in the first ten months of 2014 compared with mine production in the same period of 2013. Concentrate production increased by 2 percent (205,000 t) while solvent extraction-electrowinning increased by 3 percent (90,000 t). Most of the major copper-mine producing countries had greater output, with the exception of Chile, where production remained essentially unchanged; Indonesia (-23 percent), where production remained constrained by the ban on concentrates exports until August; Zambia (-6 percent), where output was reduced by an operational failure at the Lumwana mine and lower production levels at other producers; and Australia (-3 percent) where two mines closed temporarily. Production increased by 2 percent in Peru, 9 percent in the United States (where production in the first half 2013 had been impacted by the landslide at the Bingham Canyon Mine), 12 percent in the Democratic Republic of Congo (DRC), 7 percent in Mexico, 12 percent in Canada and 36 percent in Mongolia. The average world mine capacity utilization rate for the first ten months of 2014 fell to 84 percent from 86 percent in the same period of 2013 as the growth in capacity outstripped the increase in production. World refined production is estimated to have increased by around 8 percent (1.5 Mt) in the first ten months of 2014 compared with refined production in the same period of 2013: primary production increased by 8 percent (including 9 percent growth in production from concentrates), and secondary production (from scrap) increased by 11 percent. The main contributor to growth was China (19 percent, 1 Mt), followed by India, the DRC, the United States and Japan, where aggregated production increased by 14 percent (430,000 t). Output in Chile, the second leading world refined copper producer, declined by 1 percent owing to a 5 percent decline in electrowon production. On a regional basis, refined production is estimated to have increased in Africa (8 percent), North America (9 percent), Asia (13 percent), Europe (3 percent), and Oceania (12 percent) and to have declined in South America (-1 percent). The average world refinery capacity utilization rate for the first ten months of 2014 increased to 83 percent from 79 percent in the same period of 2013. Based on the average of stock estimates provided by independent consultants Chinese bonded stocks declined by around 60,000 t in the first ten months of 2014 from the yearend 2013 level. Stocks declined by around 325,000 t in the same period of 2013. In the first ten months of 2014, the world refined copper balance adjusted for the decrease in Chinese bonded stocks indicates a production deficit of around 675,000 t compared with a deficit of around 485,000 t in the same period of 2013. The average LME cash price for December 2014 was US$6,422.95 per tonne, down from the November 2014 average of US$6,701.13 per tonne. The 2014 high and low copper prices were US$7,439.50 (on 2nd Jan) and US$6,306.00 per tonne (on 17th Dec), respectively, and the annual average was US$6,862.00 per tonne, the lowest annual average since 2009. As of the end of December, copper stocks held at the major metal exchanges (LME, COMEX, SHFE) totalled 306,437 t, a decline of 200,067 from stocks held at the end of December 2013. Compared with the November 2014 levels, stocks were up at LME and SHFE and down at Comex. The January 2015 Copper Bulletin is available for sale upon request. Please visit the ICSG website icsg.org for further copper market related information.